Classes are designed to be safe and accessible to everyone, whether a beginner or a more experience student. 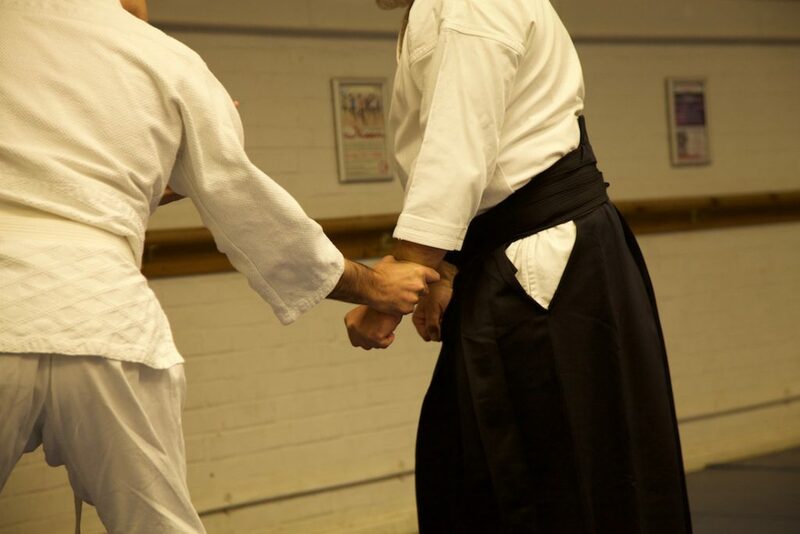 We usually begin with a warm up, to get the body ready, then rei – bow to O Sensei as a sign of appreciation and respect. We start with the same basic training exercises at each class, which encourages proper body movement. 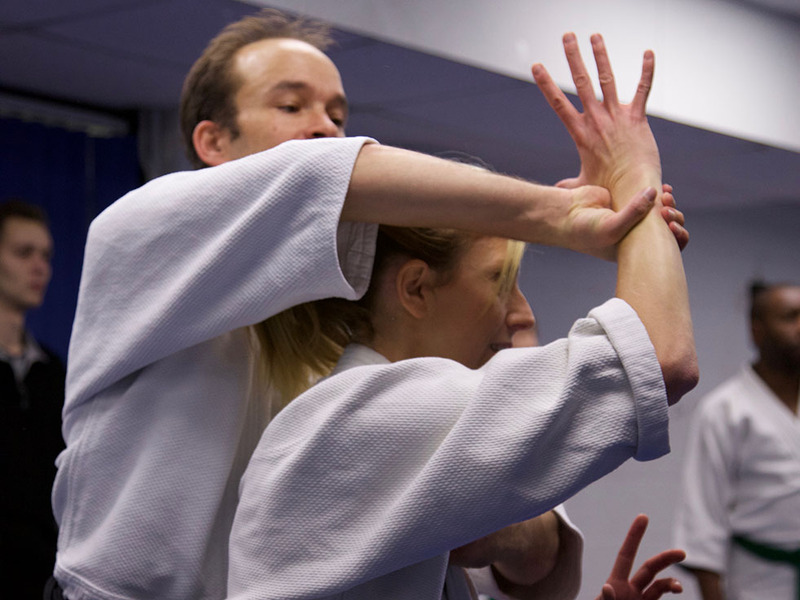 Then we’ll move on to other techniques: throws, holds, pins, atemi (strikes) and also ukemi – how to fall safely . We expect you to make mistakes – lots of them! We have all been there, but we are all learning together. 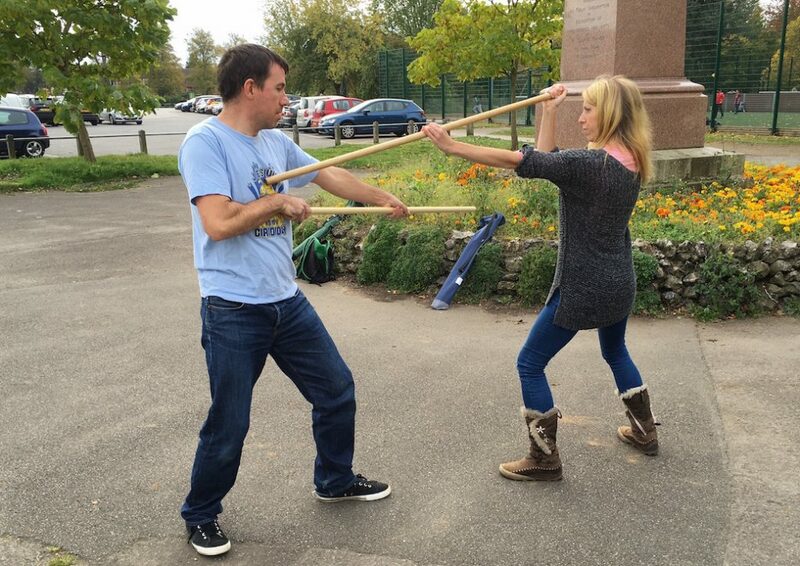 Practice in the use of the Bokken (wooden sword) and the Jo (staff) is also an important part of Iwama Aikido. It translates directly to improving our unarmed techniques – helping with correct posture, calmness of mind, striking and foot work. "Just when you think you've mastered a technique, you discover something new about it during a class. There's always something new to learn."